Location: Between Lamai and Chaweng beach. 58 deluxe rooms and 5 holiday suites. 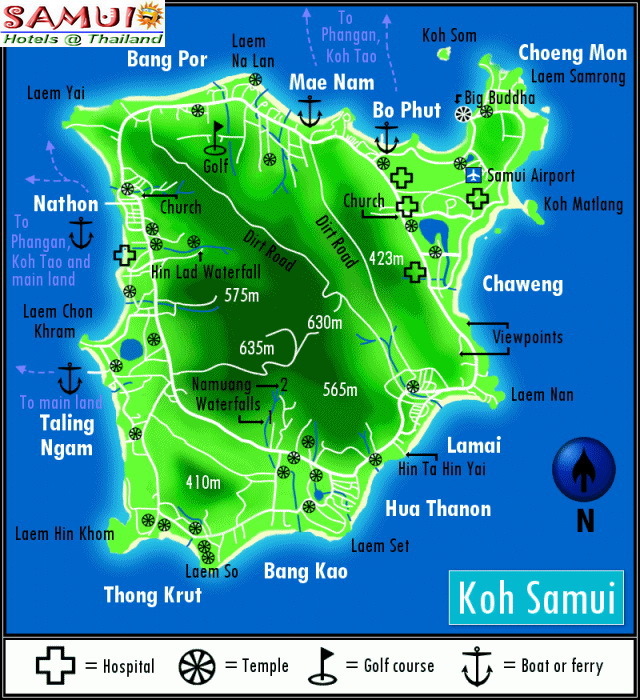 We are the brand new resort which located in Thongtakian Bay (Between Chaweng and Lamai ). The resort is blessed with cozy weather, indigo blue sea and low hills as many kinds of flowers and trees. 50 deluxe rooms with spectacular views. The decorative objects and furniture in the Kala will make you feel like staying in your own private gallery. Location: Between Chaweng & Lamai. Relaxing atmosphere is what you will find here. Samui Cliff View Resort & Spa represents the ultimate in luxury and pleasure. Nice rooms with air conditioning/fan. Excellent cuisine, private beach. The resort occupies 5 acres (12 Rai) of land, with 27 villas. Most have private swimming pools, and outside areas. All of the 9 available rooms are fashionably finished in a contemporary style. 50 bungalows and apartments. 3 swimming pools.